RAYMOND WEIL experienced a highly eventful first part to the year, and will continue its activities with equal drive and dynamism. 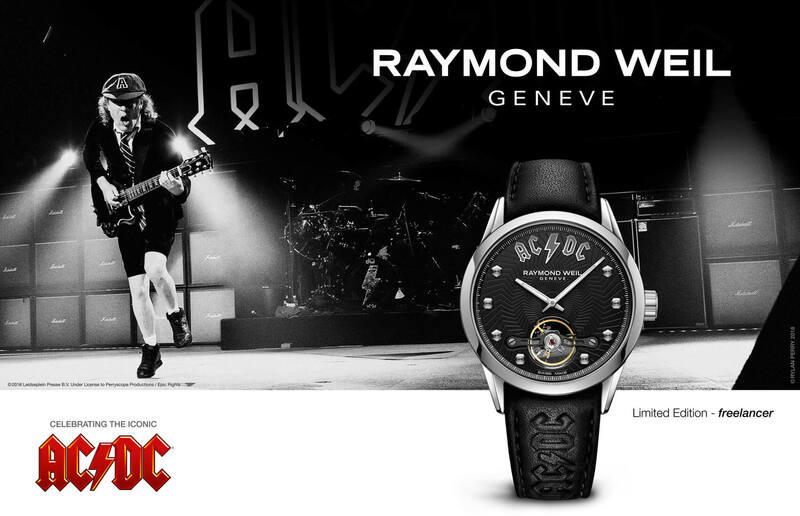 In the early part of 2011, RAYMOND WEIL has opened a very prestigious shop in le Printemps, participated in musical events such as the BRIT Awards and the Classic BRIT Awards, sponsored the anniversary of the legendary rock group Queen, the Nordoff Robbins event and the concert of Jamie Cullum in Turkey, supported upcoming artists with the RAYMOND WEIL new music talent competition and the American Idol contest and finally partnered with a famous Australian footballer. After the opening of its new point of sales situated at the heart of the watch area in the Galerie Lafayette in November 2010, RAYMOND WEIL is proud to announce its introduction in the prestigious Printemps Haussmann. The historic center of fashion and lifestyle is an undeniably prestigious meeting place, with the most famous luxury brands. The French market is currently in full development for the Brand, following the opening on first January of some fifteen sale points. For the fourth consecutive year, RAYMOND WEIL participated in the United Kingdom’s most glamorous musical event, the “2011 Brits Awards”, as the “Official Watch of the Awards”. On February 15th, RAYMOND WEIL had the pleasure of being the official sponsor of the famous “Brit Awards” ceremony. On this occasion, the Swiss watch brand awarded 30 freelancer Limited Edition watches and 30 noemia to various artistes. These prestige gifts, specially personalized for the occasion, made quite an impact. On May 12th, RAYMOND WEIL supported the prestigious Classic BRIT Awards, as an official partner. The event included the presence of great British musicians such as Alfie Boe, Russel Watson and Mezzo-soprano Katherine Jenkins. With over 35 years of dedication to the music scene, RAYMOND WEIL is constantly cultivating and supporting new and upcoming artists across all music genres. This year, RAYMOND WEIL invited all aspiring musicians to harness their inspiration and let their passion flow. Artists from all around the world were asked to submit one original musical creation and one creation inspired by RAYMOND WEIL, on eYeka’s website. RAYMOND WEIL and the Youtube personality, Marie Digby, selected the Jury’s Pick and top entries for the Brand’s fans to vote online, on Facebook and Tudo, for the Most Popular Talent. The Jury’s Prize, Sam O’Neill, won $5,000, a RAYMOND WEIL watch and a dedicated page on raymond-weil.com and the Most Popular Talent, Chiranjeevi Rathnaala, won $1,500 and a dedicated page on raymond-weil.com. 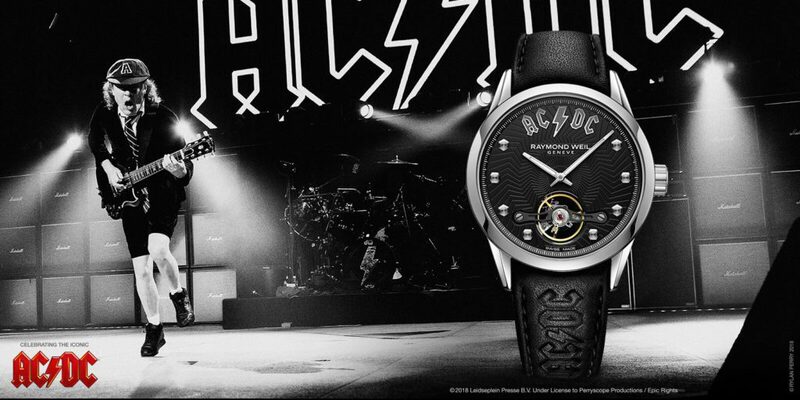 To mark the 40th anniversary of the legendary rock group Queen, RAYMOND WEIL offered four unique watches, for each of the group’s members during the anniversary evening on February 24th. Paying homage to Freddie Mercury, a watch will be auctioned in the month of September, to mark what would have been his 65th birthday. The proceeds of this sale will be donated to charity. On May 26th, Scotty McCreery was selected as the 2011 American Idol winner. After a record year in votes for the premiere singing contest, it was no wonder that news of Scotty wearing of a RAYMOND WEIL timepiece reached over 2 billion people. With great pride Scotty wears his personal selection of a freelancer while runner up Lauren Alaina sparkles in her choice of a noemia. This is the second year RAYMOND WEIL has had the opportunity to work with American Idol and further equate the brand with music and arts across the globe. On July 1st RAYMOND WEIL supported the 2011 Nordoff Robbins 02 Silver Clef lunch for the 11th consecutive year. The brand sponsored the RAYMOND WEIL Best International Artist Award and also provided a limited edition BRIT Awards 2011 watch, which rose over £2,000 at the auction for the charity. Other awards were presented to Annie Lennox, Status Quo, Liza Minnelli, Biffy Clyro, Arcade Fire and Alfie Boe. For over 50 years Nordoff Robbins has been widely respected as the benchmark for using music to improve health and wellbeing. Patrons of the charity include David Bowie, Coldplay, Roger Daltry and Mick Jagger. 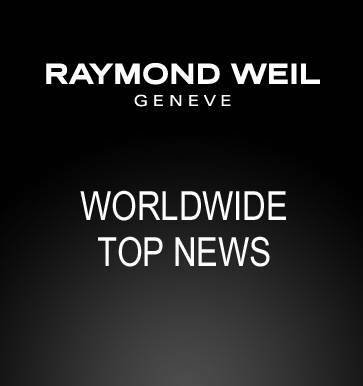 Thus, RAYMOND WEIL, is internationally recognized as the number one watchmaker in the music industry with over 35 years of involvement across all musical genres, and is delighted to continue its relationship with such an innovative and unique charity. RAYMOND WEIL has been sponsoring amazing jazz concerts in Turkey since 2008. 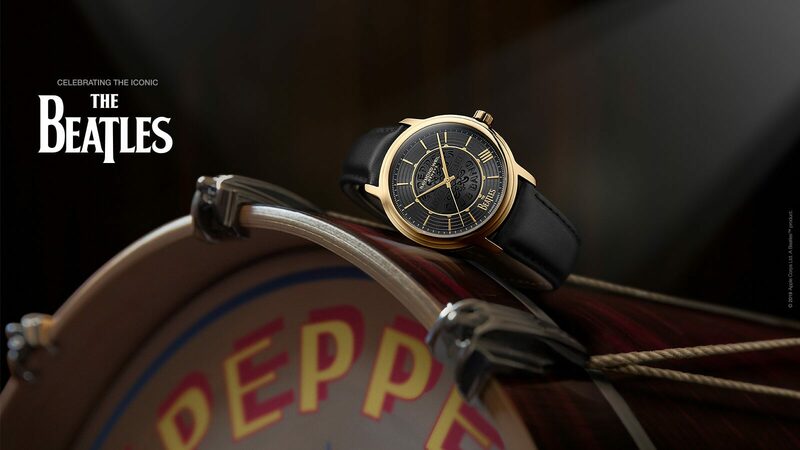 This year, the Swiss-watchmaker has chosen to support a very popular English jazz-pop singer singer-songwriter, Jamie Cullum, who gave an amazing concert in Istanbul on the July 6th. Primarily a vocalist, Mr Cullum also accompanies himself on instruments including piano, guitar and drums. The concert took place at Kıyı Amfi where its playful pop-jazz sounds, its original vocal style; the modern piano tunes had a great success. Jack is one of the most talented professional players of AFL (Australian Football League) football and represents all the values dear to the RAYMOND WEIL Brand: skill, precision, strength and determination. Mister Riewoldt emphasized: “I am really very happy to have been chosen as an ambassador for RAYMOND WEIL. In my view, it is essential to be in partnership with a brand that is synonymous with quality. The RAYMOND WEIL watches are quite simply extraordinary and the nabucco that I now have the chance to wear is an excellent symbol of the quality and know-how of Swiss watches”.